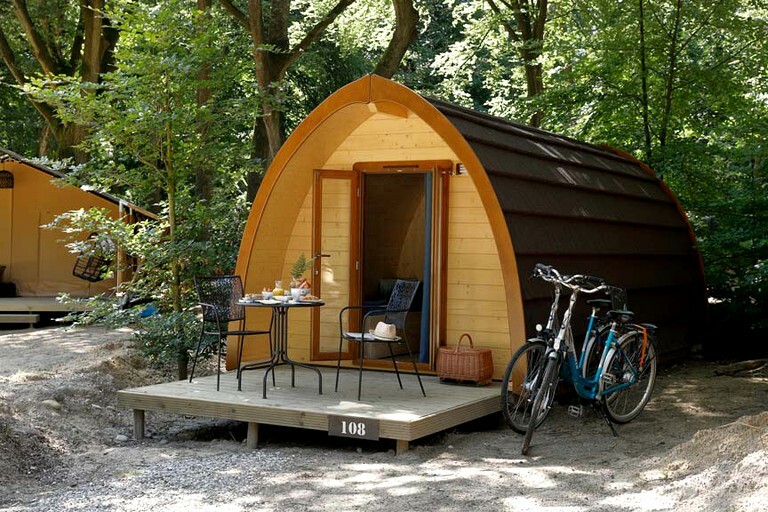 Glampers are invited to enjoy a camping stay in this brand new pod rental located right in the heart of the Veluwezoom National Park, Netherlands. It measures a spacious 14 square meters in the interior area and can sleep up to four in total as it has a double bed that is ideal for couples. A single sofa bed and the single pullout bed are provided for extra guests. 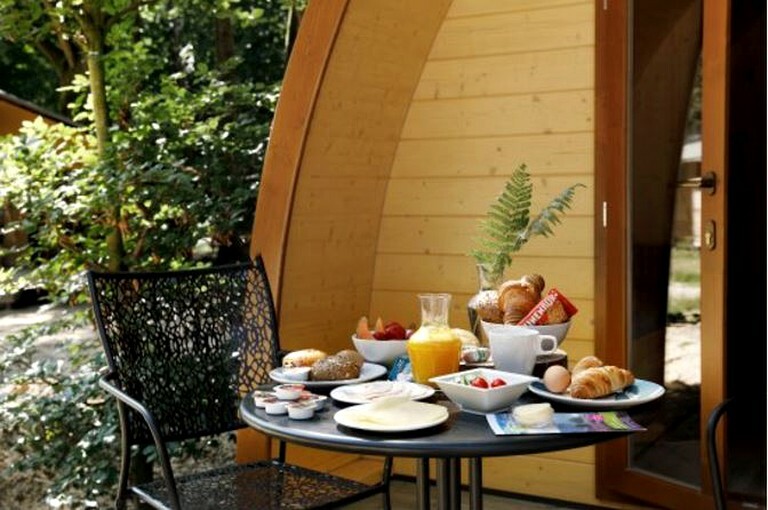 The pod has its own private bathroom with a shower and toilet to ensure plenty of privacy. 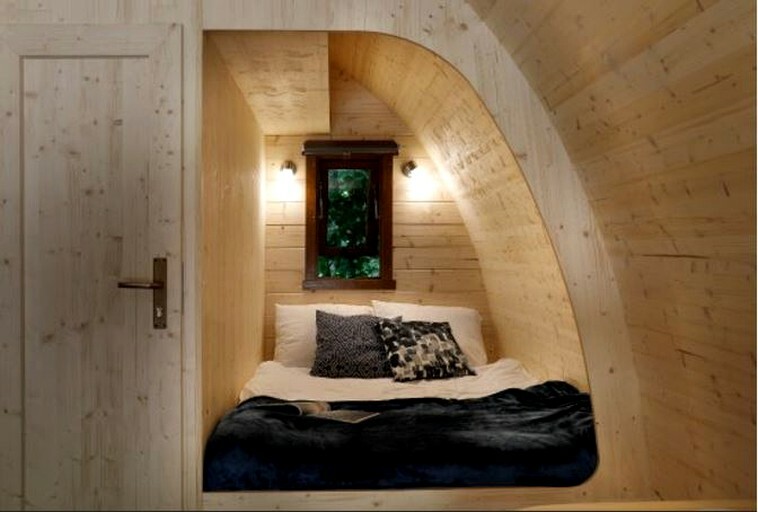 For a touch of luxury, this pod offers underfloor heating to keep glampers cozy. At the property, there is an amazing restaurant that serves delicious food throughout the day. If glampers don't want to head off-site, they definitely won't struggle to find something on the menu here to enjoy. There is also a large playground next to the restaurant to delight younger glampers, along with a water playground, a rope swing, and plenty of board games for rainy days. Inside their rental, guests will be able to connect to Wi-Fi and enjoy a peaceful sleep in the comfortable linens provided. This property offers a range of additional services for an extra fee. There is a hot tub if guests fancy a luxurious experience and guests can also enjoy a fully catered weekend breakfast on a private verandah. There is plenty to see and do both nearby and further afield during a stay here. Guests should be sure to explore every corner of the national forest to get to know the unique wildlife that lives there. In addition, Burgers’ Zoo covers more than 100 acres and is a perfect day trip for the whole family if guests still haven't had their fill of animals. For something a little more traditional, guests can visit the Holland Open Air Museum and learn about the history of the Netherlands over the past centuries. The hosts recommend a trip to Rosendael Park and Castle where there are multiple attractions to enjoy. In addition, a visit into the heart of Arnhem will provide guests will multiple shopping options, as well as an abundance of great restaurants to choose from. Guests certainly won't struggle to find somewhere to pick up a souvenir to take home for loved ones. Check-in is between 3 p.m. and 5 p.m. Other times can be negotiated. Check-out is between 9 a.m. and 10:30 a.m. A late check out at 1 p.m. can be arranged for an extra fee of 20 Euros.